Do We Write and Read More or Less? On a gut level, you might say that kids today just don’t read and write like we used to…or most adults just don’t read books. However, when you dig into it a little what’s really evident is that reading and writing have changed so much that comparing the past to today is comparing apples to oranges. Here’s what I mean. It used to be that you wrote long letters to friends and family and dropped them in the mail box. In fact, a lot of history is recorded letters. The civil war is a great example because it is one of the most documented wars because of all the letters. 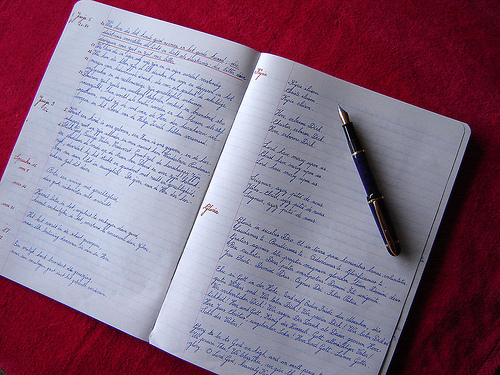 The big change is not a decline in writing but a decline in using a paper and pen. If you added up all the emails, text messages and posts on social networking sites, the amount of writing is massively greater. Think about when congress wants another departments emails and the get several million emails to look at. Well what about newspapers. No one reads newspapers like they used to. This is an absolutely true statement. The reality is that people are probably more engaged and interested in their world, but news print just doesn’t cut it. I could wait for old news to appear on my door step or I could just go to Yahoo news and see what’s happening right now. A newspaper might offer you two or three columnists on a subject while you can go on line and get a hundred different points of view. Newspapers also have to compete with 24/7 cable news and sports. I remember rushing to the paper to get the sports scores in the morning. Now I can watch the ticker on ESPN or call them up on my cell phone. I know you’ll say, what about books. No one reads books any more. I’d say some one has the be reading books because the number of books in print each year has exploded. Today about a 100,000 books are published each year. If you read a book a week, you’d be reading .005% of the new books. Hard to keep up on your reading that way. Think about all the people who used to own a really good set of encyclopedias. Their basically worthless today because if you want the knowledge of the world a quick Google search will work and you can get everything in multi-media. So here’s a good question, have we change the way we teach reading and writing to fit a new world or are we still in line with the 1950s? Some writers have a very strong writing style without a lot of purple prose. 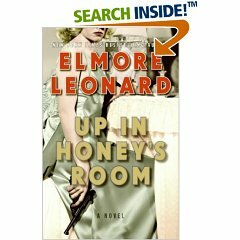 One of these writers is Elmore Leonard. 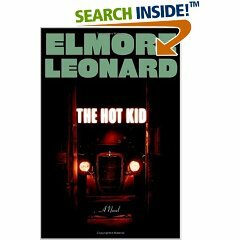 He started out writing westerns and went on the mystery and crime novels. One of his best known is Get Shorty which was turned into a movie with John Travolta. He also wrote 3:10 to Yuma the Russell Crowe movie. One of his best quotes about writing was the his secret was to leave out all the parts people skip. Listening to his books we discovered one of the best readers Arliss Howard. He narrates two books, the Hot Kid and the sequel Up in Honey’s Room. It’s a story about Carlos Webster and his rise in the Oklahoma Marshal’s service. It’s set in the 30s and 40s. 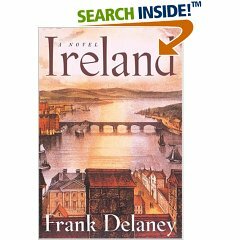 The narrator gets the accents and syntax just right to make these books really easy to listen to. Does it make a difference? It does and it doesn’t. How’s that for a strong stand. When the main character is female, the book is better read by and women and vice versa. Here’s a very good example. Alexander McCall Smith has a fantasitic series: The No. 1 Ladies Detective Series. The series is about “traditionally built” Precious Ramotswe who travels Botswana in her little white van solving mysteries. To read all the names and syntax are difficult but to hear it is wonderful and educational. is considered the dean of American crime writers. He has written scores of books around three different characters. Spenser, Jesse Stone and Sunny Randall. It’s interesting that Sunny Randall seems to be a female Jesse Stone and in the book Blue Screen they hook up. Anyway since he’s written so many books over the years, they get read by different people. There are maybe five people who have read Spenser books from Burt Reynolds to Richard Massur and Joe Montagne. They’re all good but Joe Montagne really gets identified with the characters and adds a tone of sarcasm that makes the character unique. Jesse Stone novels are read by Robert Forster and Scott Sowers. Both excellent readers but very different. Robert Forster has a flatter even style that adds a level of depression for Jesse. The other thing that’s interesting about his writing is that you end up knowing more about what each character is wearing than any other books you’ll read. It’s very fashionable crime. This is the third in the series. One of the things you can learn from audio books is how to be a great reader. Listening to how the best read is really insightful. Who makes the best readers? So far it seems that it’s actors and singers. Yes, singers are wonderful readers. Here’s a book on tape that goes over the top. It’s read by Willie Nelson, Johnny Cash and Waylon Jennings. 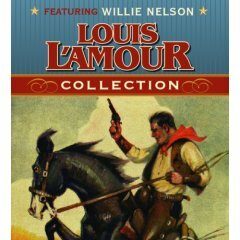 It’s a collection from the old west with Louis Lamour. I can’t give this one five pizzas, so I’m giving if five chuckwagons. Alexander Mcall Smith is a brilliant and proflific writer who has several great series that all are all better heard than read. This series as about Scotland Street. It’s about the residents of an apartment building in Edinburgh. It first appeared as a serial in the Scotsman Newspaper. Here are two books in the series. The narrator sounds a lot like Sean Connery. His reading adds a lot to the tone and structure of the book and you understand all the local language and terms much better. He give character to the characters. Again it’s worth five pizzas.